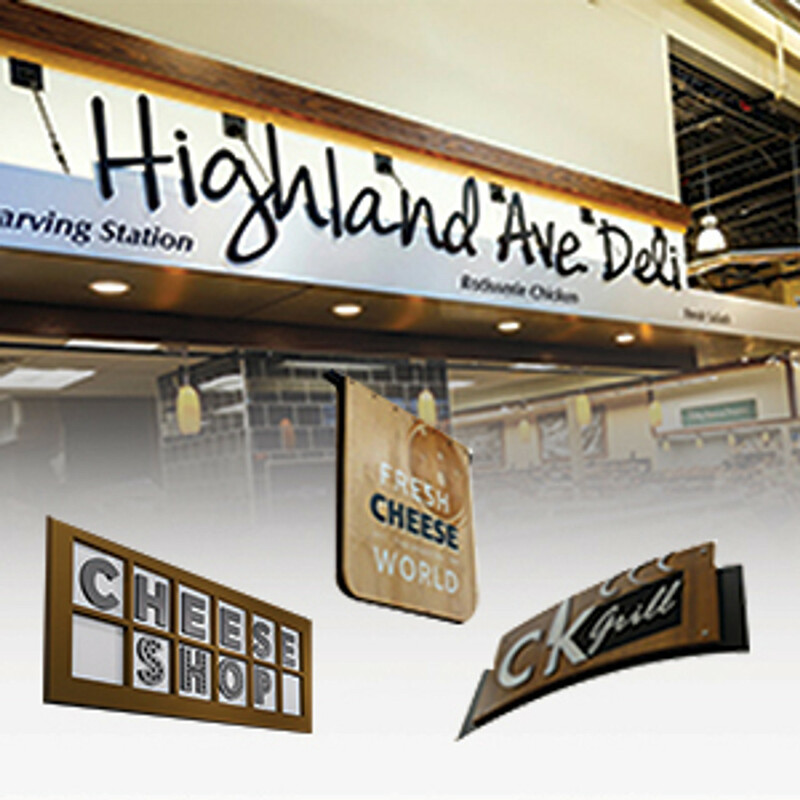 At DGS Retail, we offer a wide variety of affordable sign holders designed specifically for the needs of store owners everywhere. 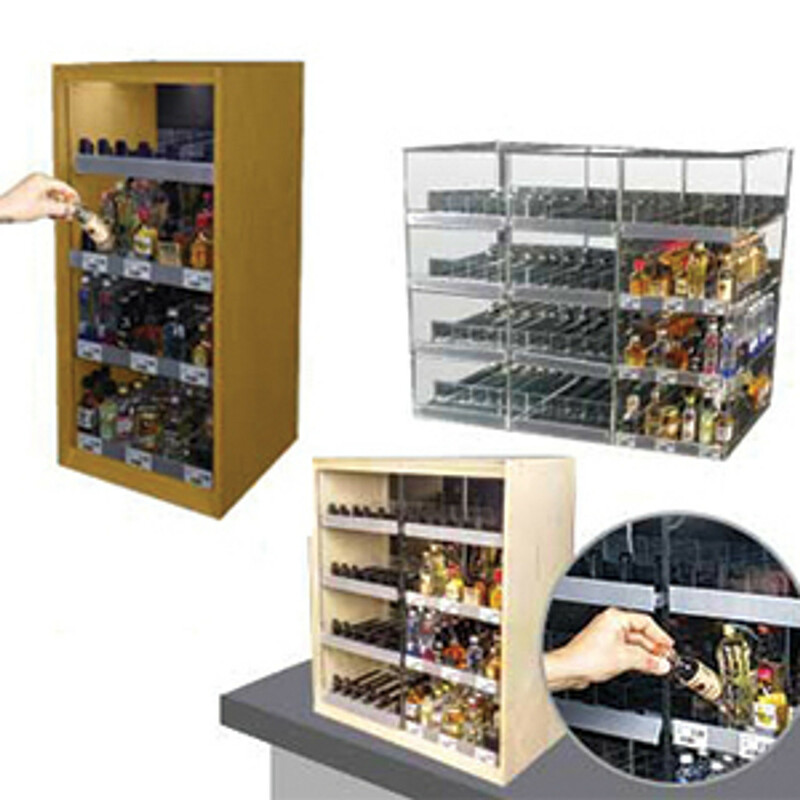 That includes adding holders to gondola shelf channels and metal price tag channels on the shelf edge. 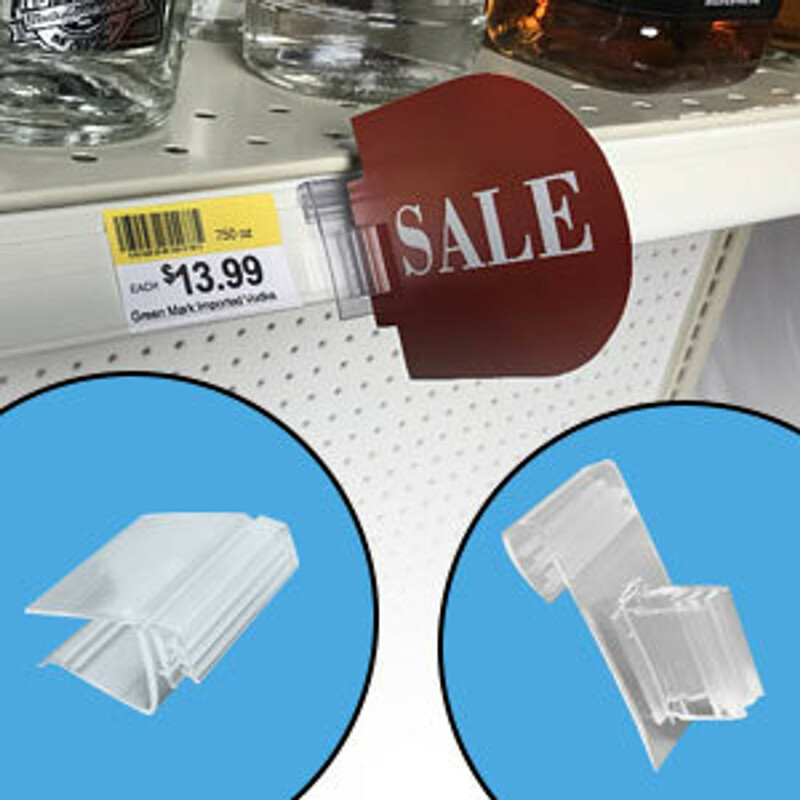 These products come in two clip-based designs: One that puts signs flush against or parallel to the shelf edge, and one that puts signs perpendicular to the shelf channel itself. 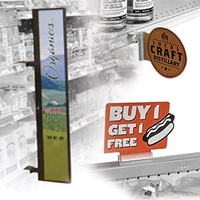 The former allows owners to add shelf talkers or price tags next to products, while the latter gives them the ability to add aisle violators, invaders, blade signs and other related signage. 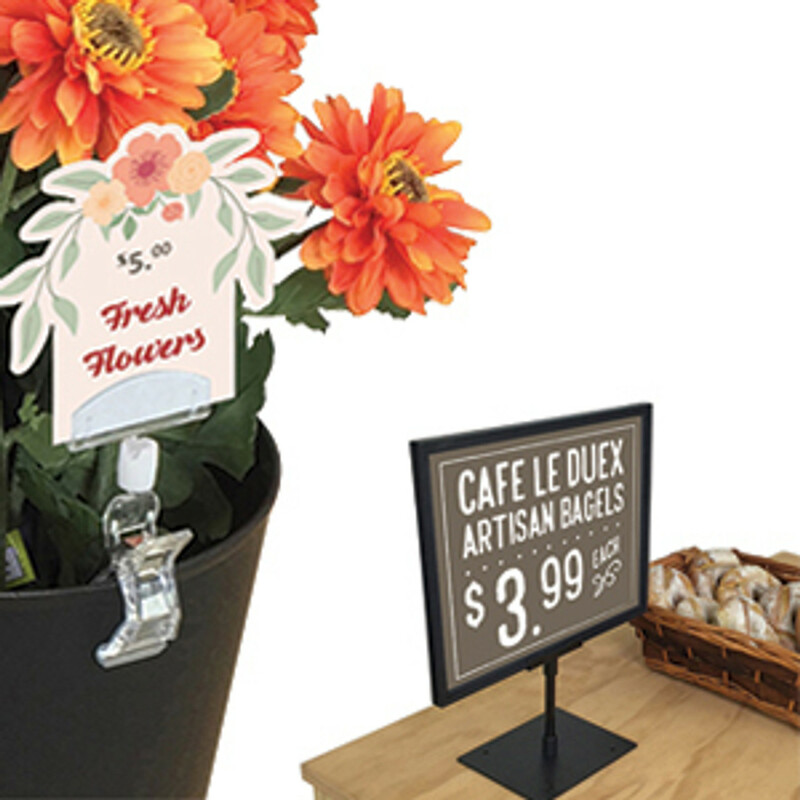 Each sign holder's design allows for a variety of usages, and their snap-on design makes them easy to move around the store. 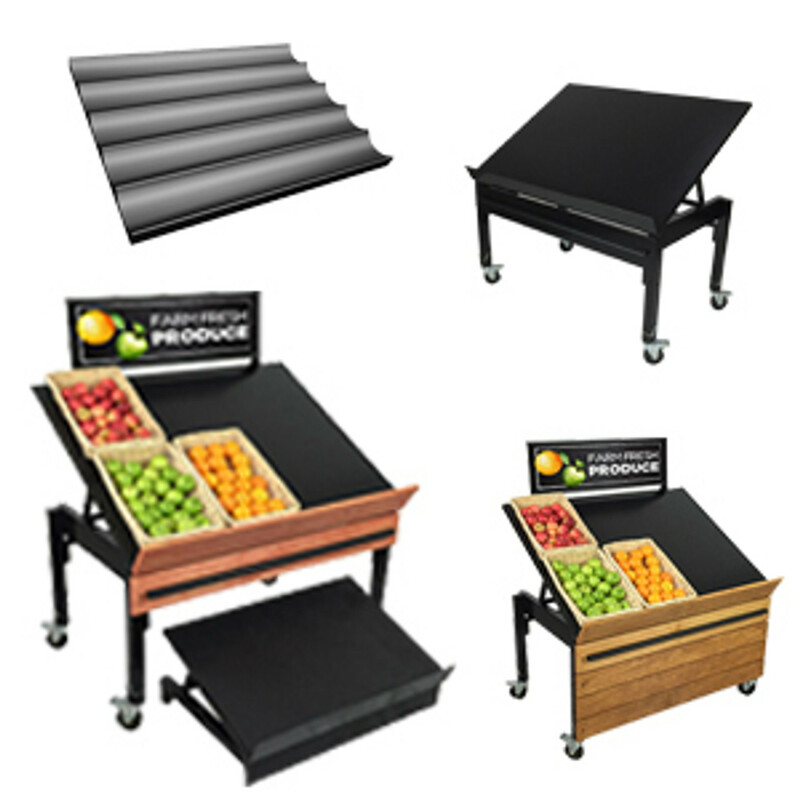 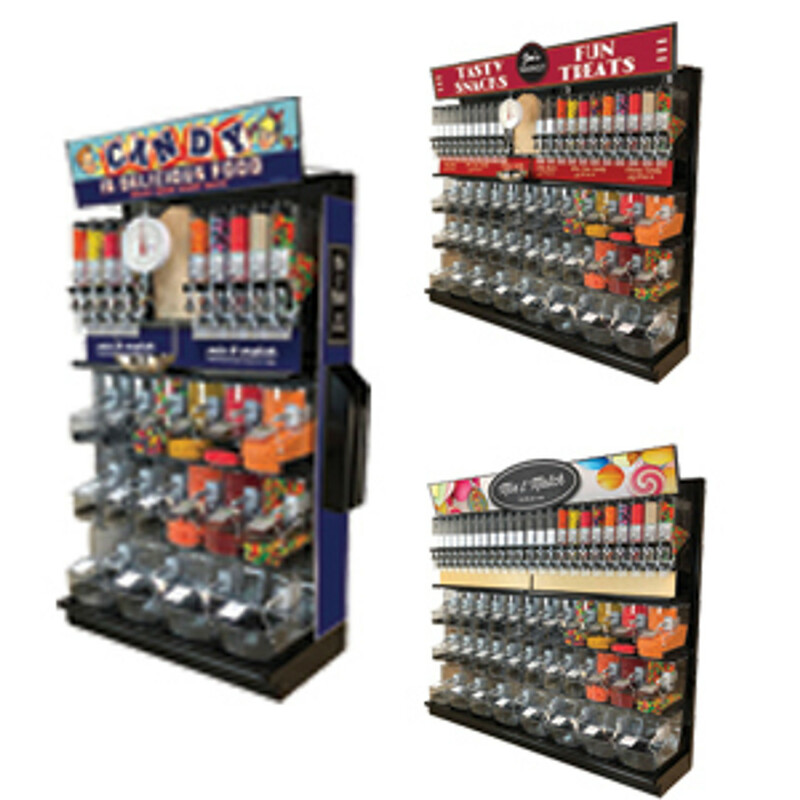 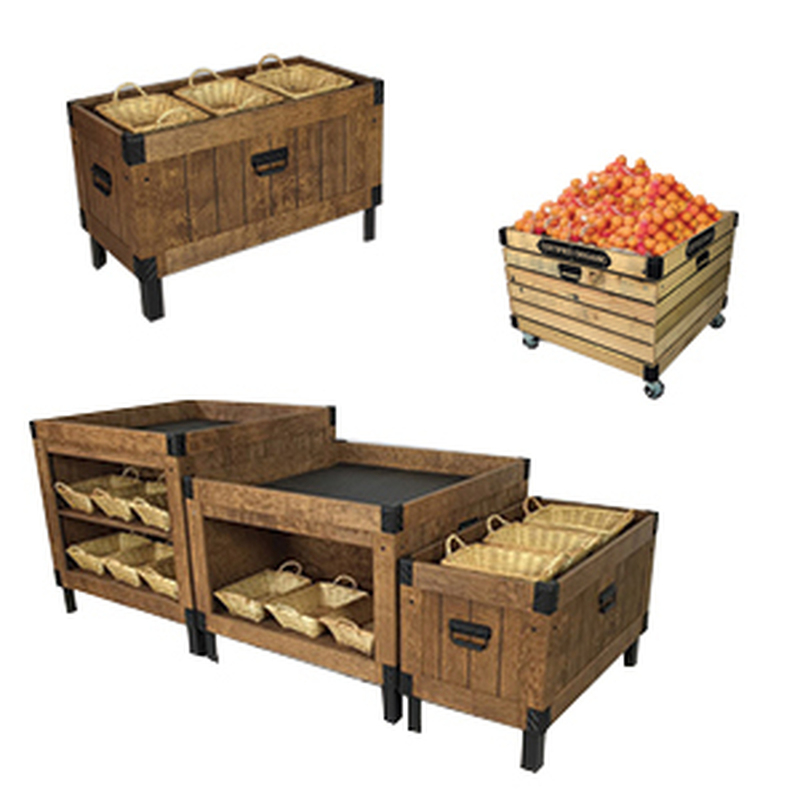 This makes them quite effective in almost any retail setting, from liquor and grocery to gift and convenience stores. 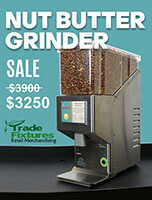 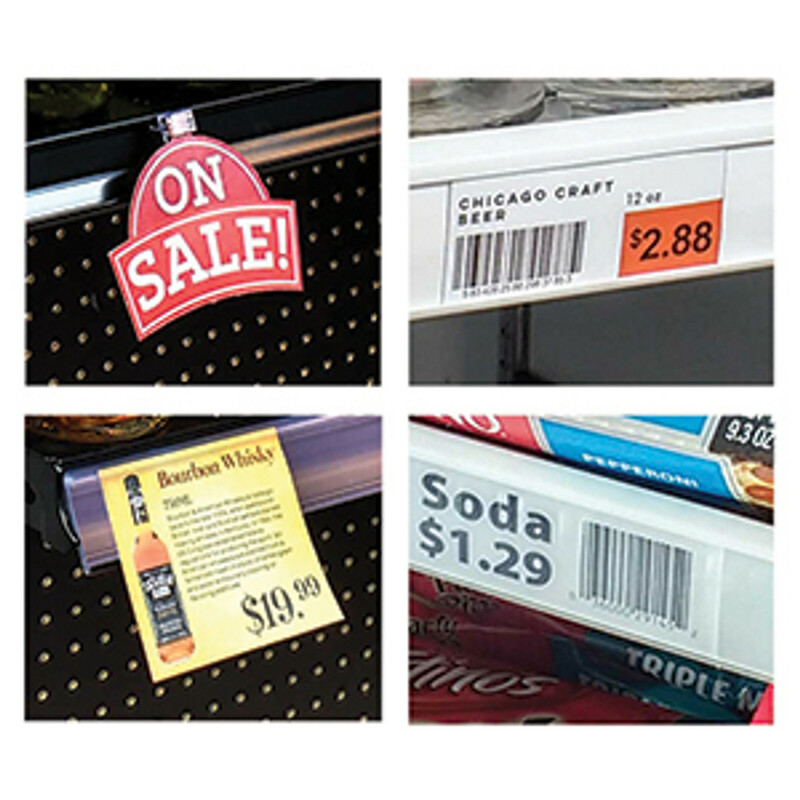 With aisle violator-based sign holders, an owner could let customers know about products on sale. 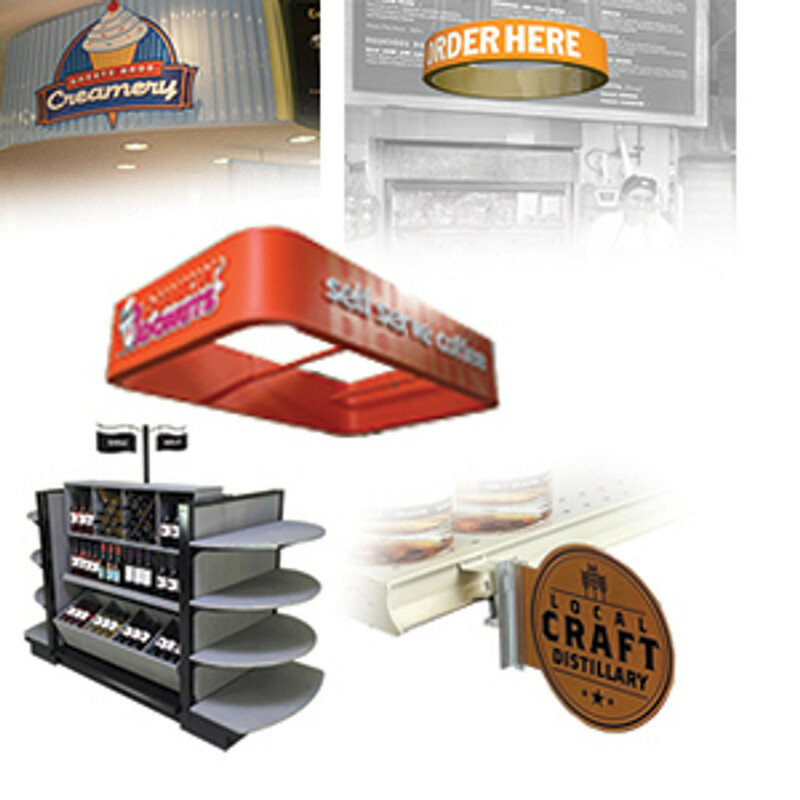 As for flush sign holders, they can add brand promotions, product reviews, advertising, and more. 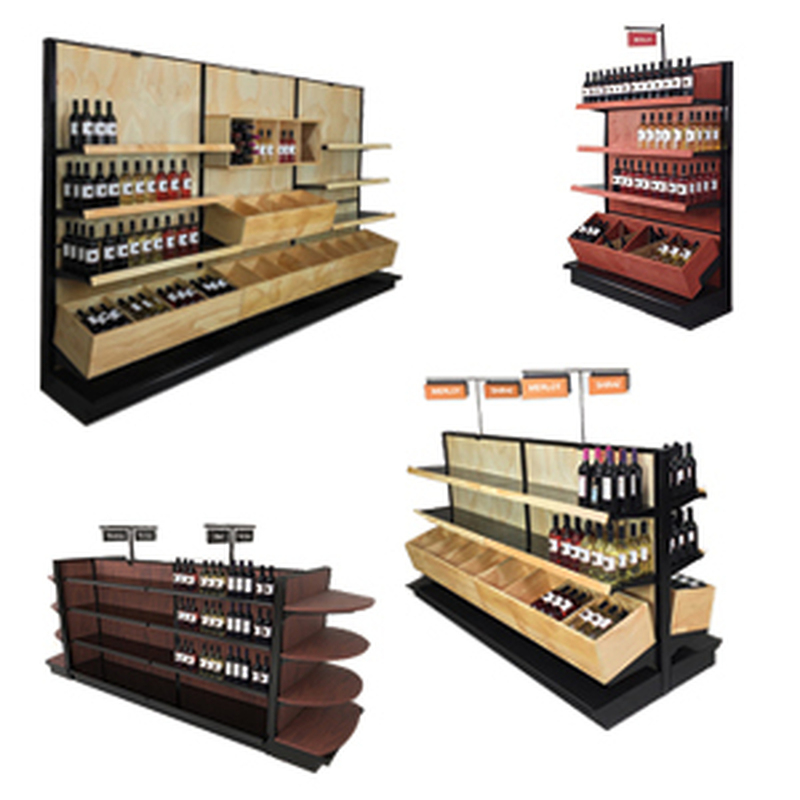 Further, they can mix them together with the shelf channel and info strips to best educate the consumer on new or featured products. 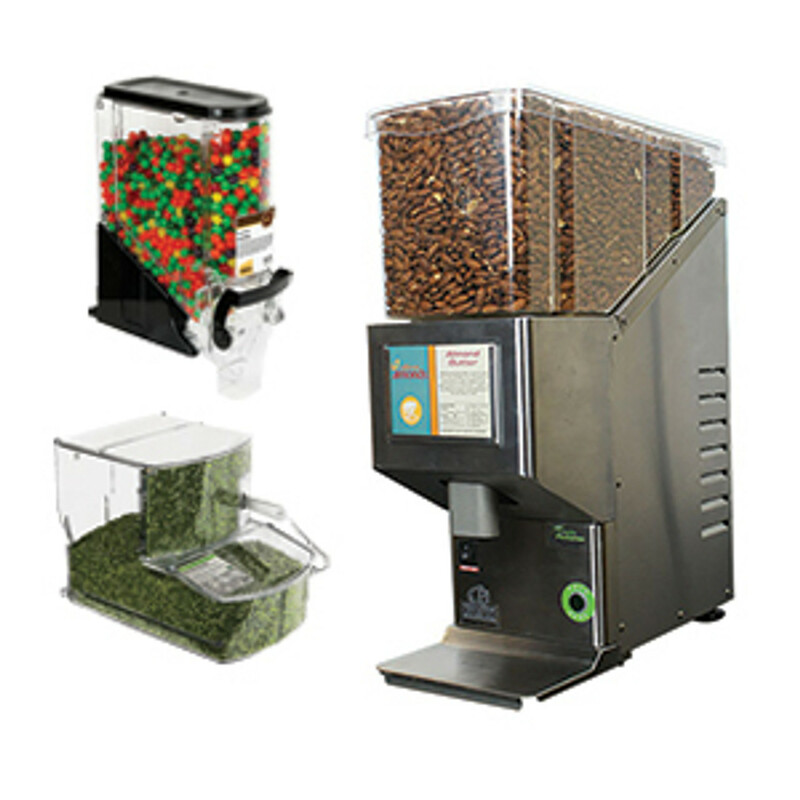 Such versatility helps maximize sales. 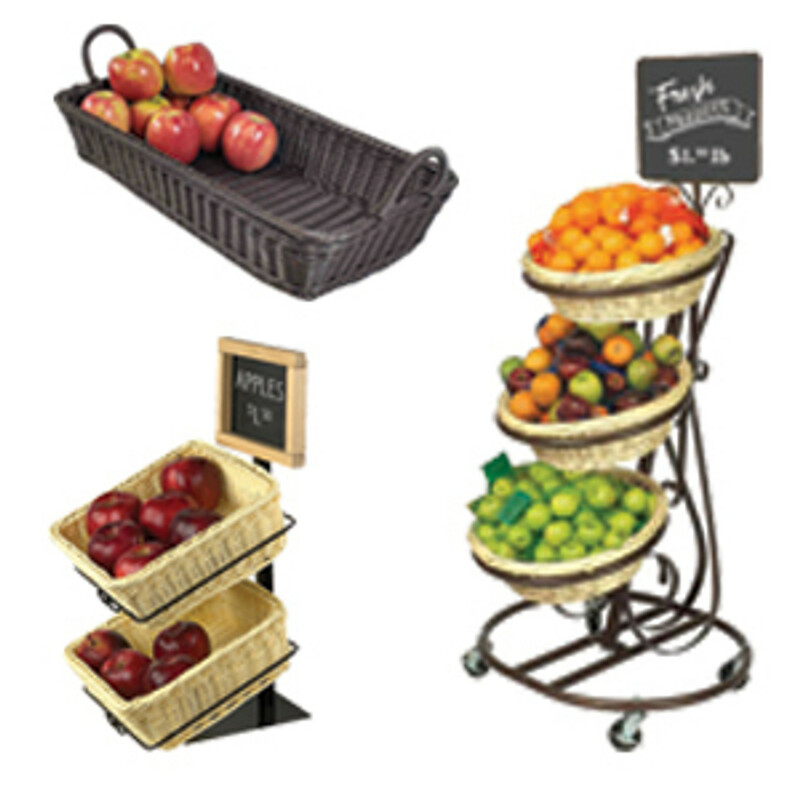 What are Shelf Channel Sign Holders? 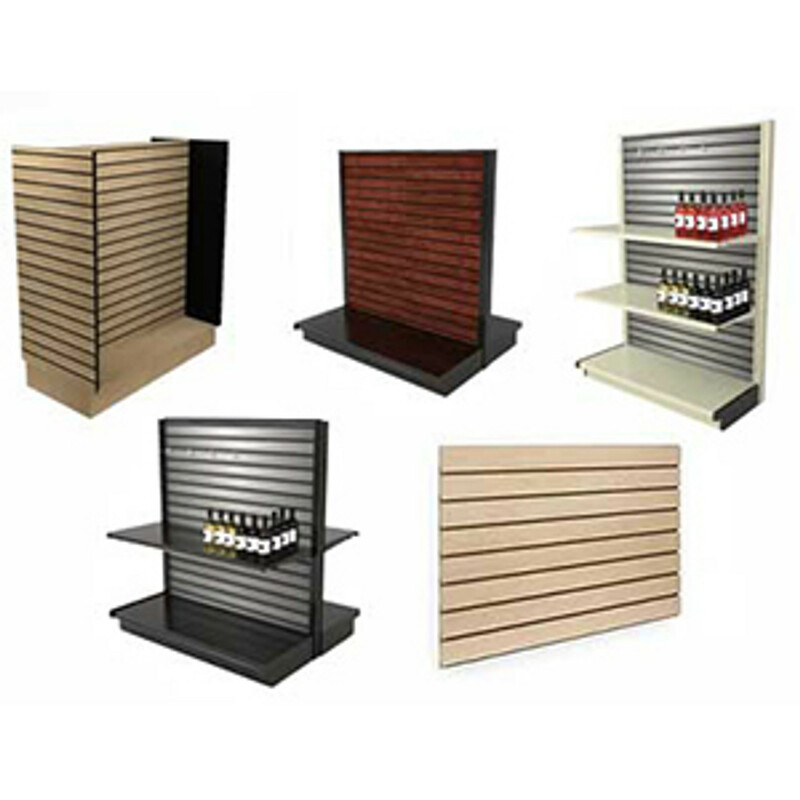 Most retail shelving or as it’s often called, gondola shelving in the US & Canada utilizes 1-1/4 inch high price tag channels on gondola shelf edges. 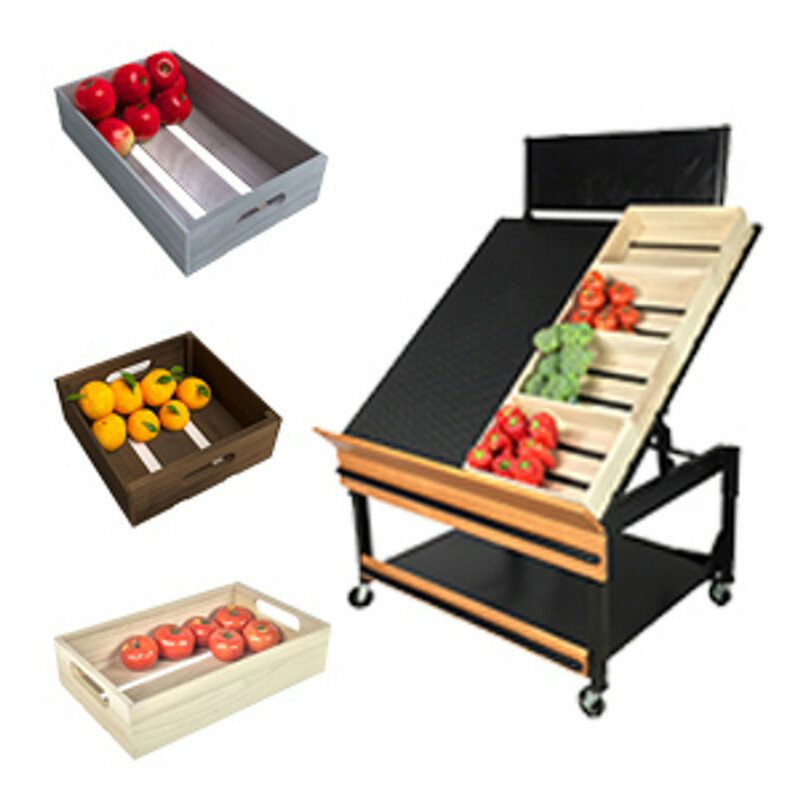 The design is usually a rolled formed metal channel that extends the width of the metal shelf. 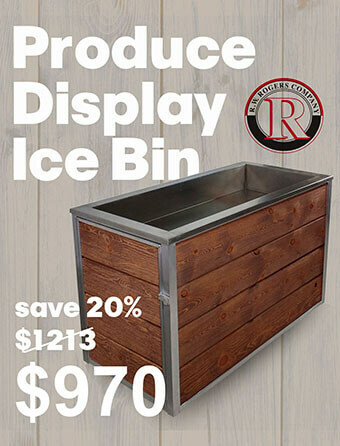 This is generally 48 inches wide or 36 for retail end caps. 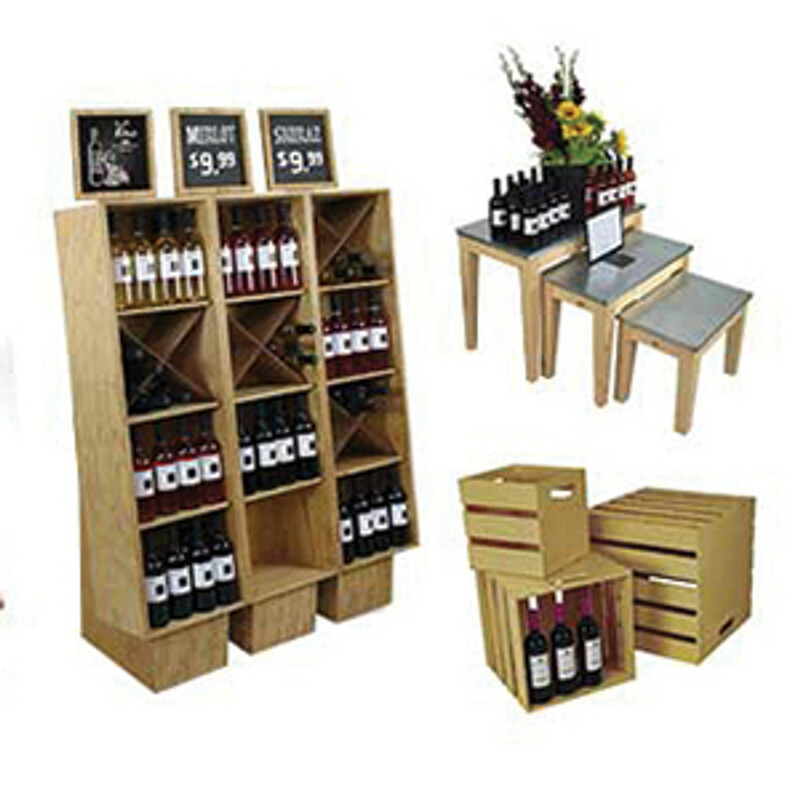 In normal retail conditions that use this type of shelving, there is not a lot of room to add promotional advertising or price tags. 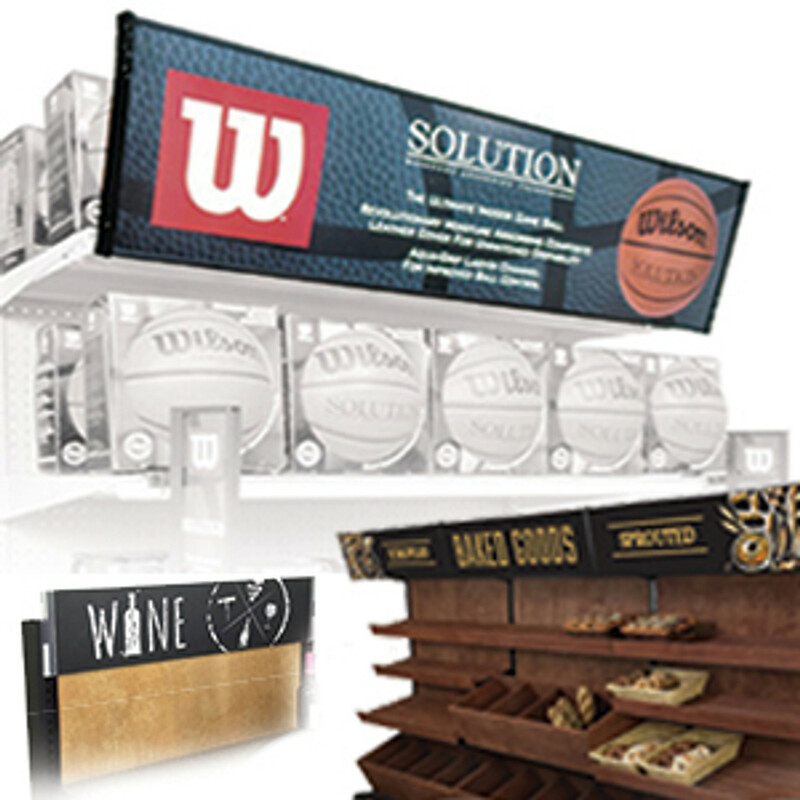 This is because with the shelves fully loaded with product, there is not much space to squeeze a sign in without having to remove product. 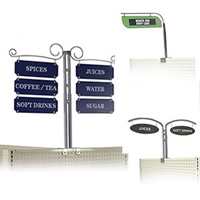 Plastic sign holders that are designed to clip-on to these existing metal channels can greatly increase the usability of the available space. 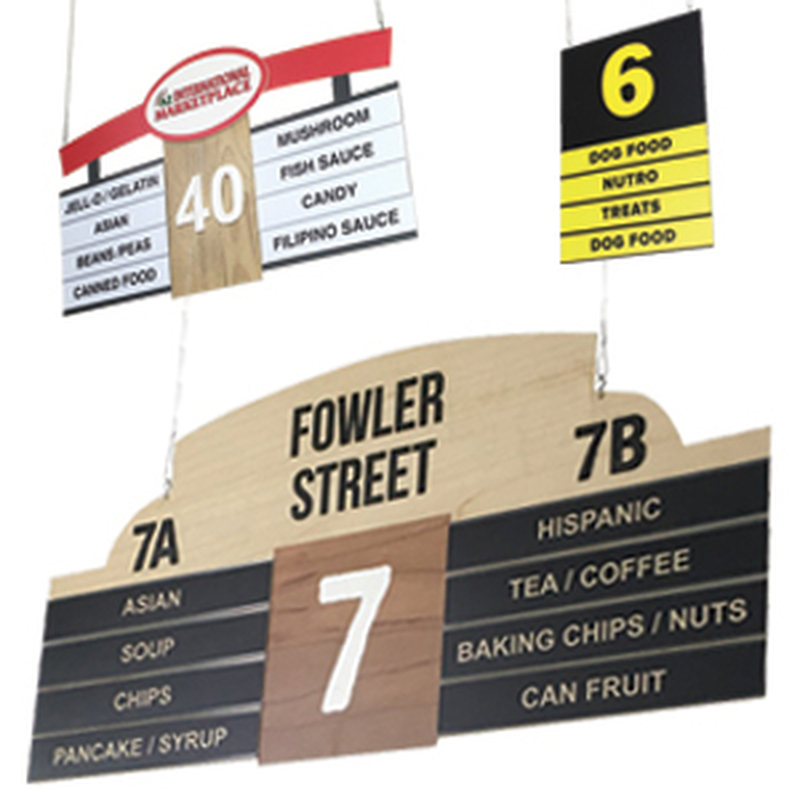 When used in conjunction with plastic data or shelf strips, the store manager can create a layered signage look that displays both parallel and perpendicular signs. 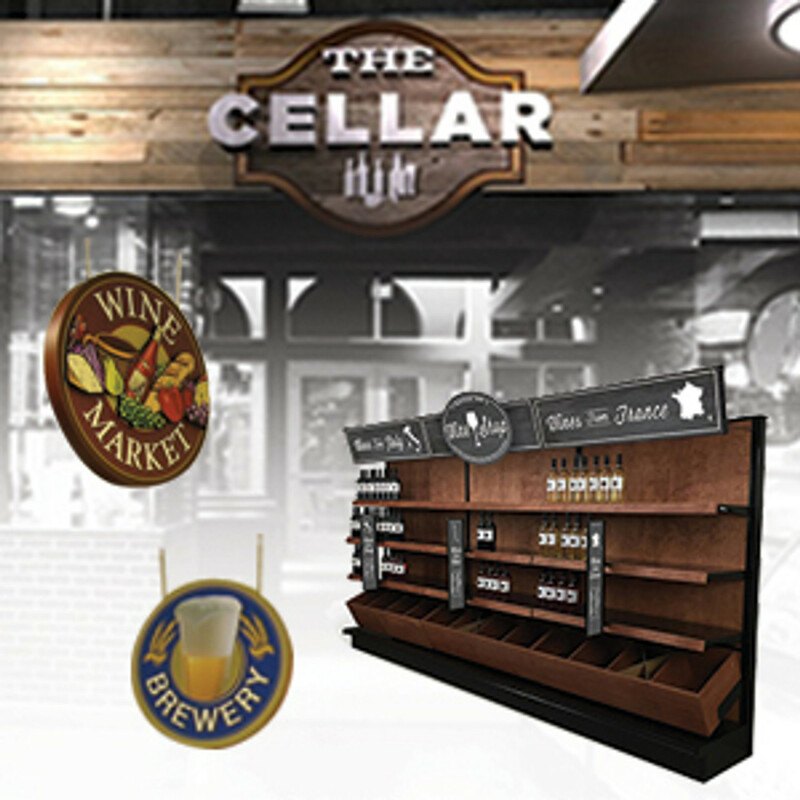 This allows for retail wayfinding, getting the customer to the right spot in the aisle, and for product price and feature comparisons all within a small amount of shelf edge space.